Here’s a real sweet deal. You can buy $100 (or more) worth of retail gift certificates for $20 and most of that money goes to the American Diabetes Association (ADA). So, you get great products at substantial discounts while a worthwhile cause receives a new stream of donations. That is a good deal! The concept has been tested successfully over the last month on the ADA website. This week ADA will launch a Valentine’s Day special where you can purchase flowers at a discount, with most of the proceeds going directly to ADA. You can find these specials on “Shop to Stop Diabetes“. Participating brands such as 1-800flowers.com, ShoeBuy.com, Shutterfly, Qresolve, Nordstrom, among others gain new customers through these campaigns at a fixed CPA (Cost Per Acquisition). In digitial marketing terms, paying for CPA eliminates risks unlike paying for CPL (Cost Per Lead) or CPM (Cost Per Thousand impressions), neither of which guarantees a conversion to a new customer. The consumer benefits from receiving a discounted gift certificate bundle, while getting to donate to a worthy cause. If you are going to purchase flowers for Valentine’s Day, why not get a discount and have your money help the ADA at the same time? 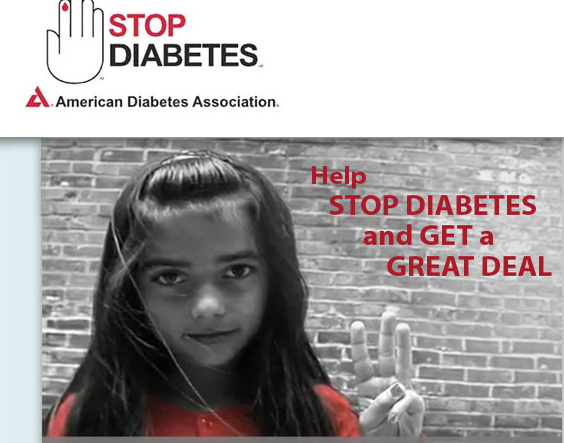 The American Diebetes Association obviously wins from securing new streams of donations. It really is a win-win-win. The concept works because of Seattle startup company Kozfor, which provides the hosting and manages the campaigns for ADA. The company brought together all the necessary players to create this win-win-win scenario, including TrailPay that provides the payment engine for the campaigns. Brad Furber, the founder of Kozfor, is a long-time participant in the Seattle startup community. In fact, he was the subject of my very first blog post when he was the President of Xeriton Corporation. Now, he is committed to helping organizations like ADA with his win-win-win approach to cause marketing. I personally love the idea. Kudos to all business plans that are not just about the bottom line but also about doing good. I hope many of you may be interested in ADA’s Valentine’s Day special. Posted in Company building, Digital Marketing and tagged ADA, American Diabetes Association, Brad Furber, Cause Marketing, Kozfor, Shop to Stop Diabetes, startups. Bookmark the permalink.